Casting directors for a Major Cable Network show are looking for close knit mothers and their daughters. Are you closer to your mom / daughter than you are with anyone else? 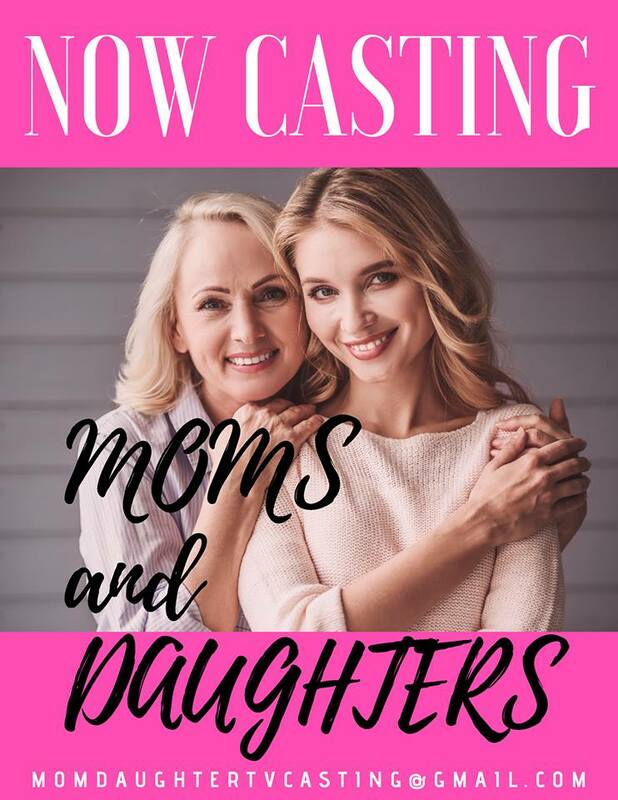 If you are a mom or a daughter that act like BFFs, casting directors want to hear all about it to possibly cast you for a paid TV show. Please note that the show is seeking mothers and their adult daughters. Do You Have A Closer Bond With Your Mom Or Daughter Than You Do With Your Spouse Or Significant Other? Do you find yourself going on vacations with your mom/daughter rather than your significant other? Does your significant other complain that you spend more time with your Mom/Daughter than you do with them? Does your relationship with your mother or daughter ever get in the way of your marriage or your relationship? Do you always take your Mom/Daughter’s side over your Significant other even if they are right? Do you and your mom/daughter have an unbreakable and extremely close bond that outsiders have considered odd, unusual or extreme? Acclaimed TV production company in conjunction with a major television network as well as a major news outlet is casting an all-new, groundbreaking documentary series profiling moms and daughters. Share your journey with your mom and/or daughter on an all new-feel good television documentary series and get paid for appearing! Please include, both of your names and ages, bio explaining just how extremely close your relationship is and how your relationship with mom impacts your relationship with your significant other, recent photos, full contact information (phone and email) and the city and state where you live. I am very close to my daughter in law, does that count? We are best friends and we hang out all the time. I hardly ever see my son and her and my grand daughters come way before my husband. We are besties. She doesn’t consider me her mother in law and I don’t even look at her like the daughter I never had. We consider ourselves like equals and we always have so much fun together. She is my best friend.